A friend recently asked me why Hebrew used the same word - tik תיק - for both "bag, satchel" and "file, dossier, portfolio". This is one of those cases where knowing the etymology helps. "cloth covering (usually of strong cotton or linen) for mattresses or pillows," 1640s, from tyke (modern tick) with the same meaning (mid-14c. ), probably from Middle Dutch tike, from a West Germanic borrowing of Latin theca "case," from Greek theke "a case, box, cover, sheath"
Old English biblioðece "the Scriptures," from Latin bibliotheka "library, room for books; collection of books," from Greek bibliotheke, literally "book-repository" (from biblion, see Bible, + theke "case, chest, sheath," from root of tithenai "to put, place"
From tik, we also get the verb תיק, meaning "to file", and the related word tikiya תיקיה. While sometimes the suffix -ya is a diminutive (as in the word lachmaniya לחמניה, a roll, is a diminutive of lechem לחם, bread), in this case the suffix either means a place to put things, or a collection of, like sifriya ספריה - "library", is a place to put a book - sefer ספר. So a tikiya is a filing cabinet. But in today's computerized world, we're less likely to use the word for an actual cabinet, but a place to put our computer files, i.e. a folder. And if we've already mentioned the word library twice, I'll go for the hat-trick. 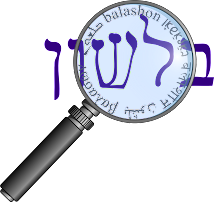 In Hebrew the word sifriya can mean, in addition to "library", also a computer directory. In both English and Hebrew the question arises as to which is the proper term for the collection of files: directory/sifriya or folder/tikiya. According to this site, both are acceptable, but directory is more appropriate for command line interfaces (like MS-DOS or Linux), and folder is better for graphical interfaces like Windows.